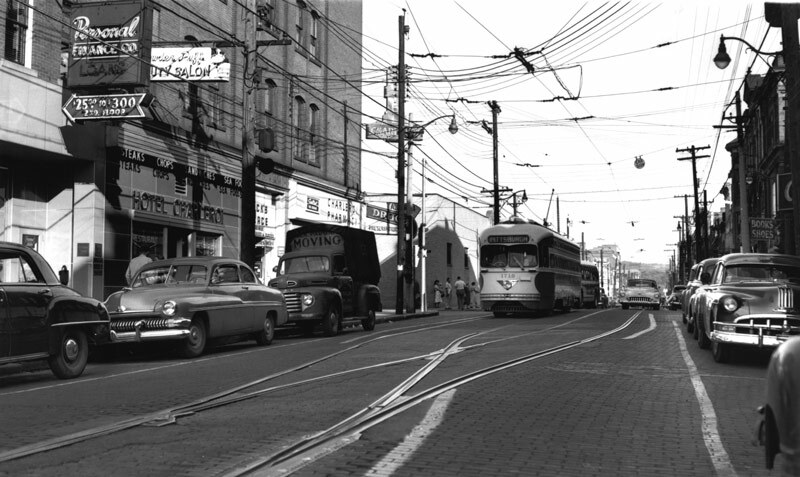 Northbound car on McKean Avenue between 5th and 6th Streets. 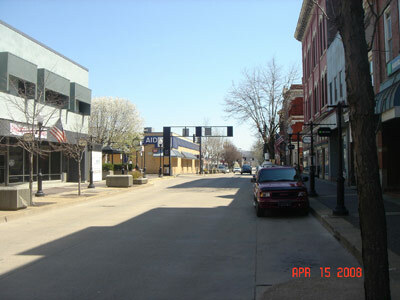 Same location a few years later. 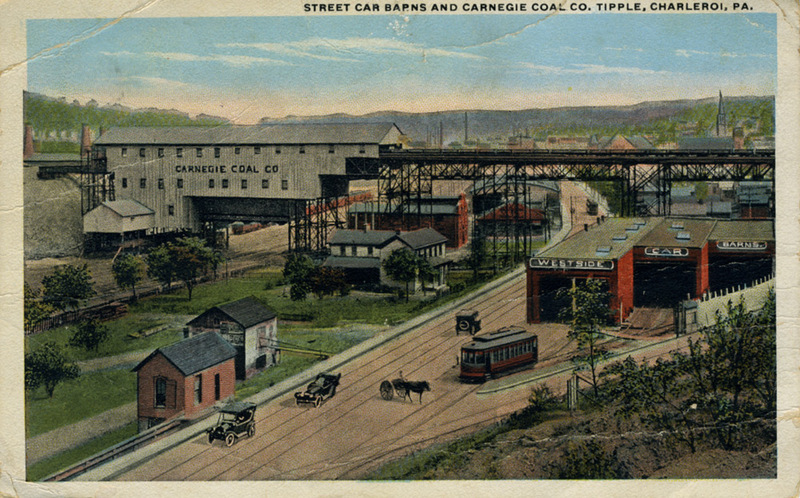 Postcard postmarked 1924. 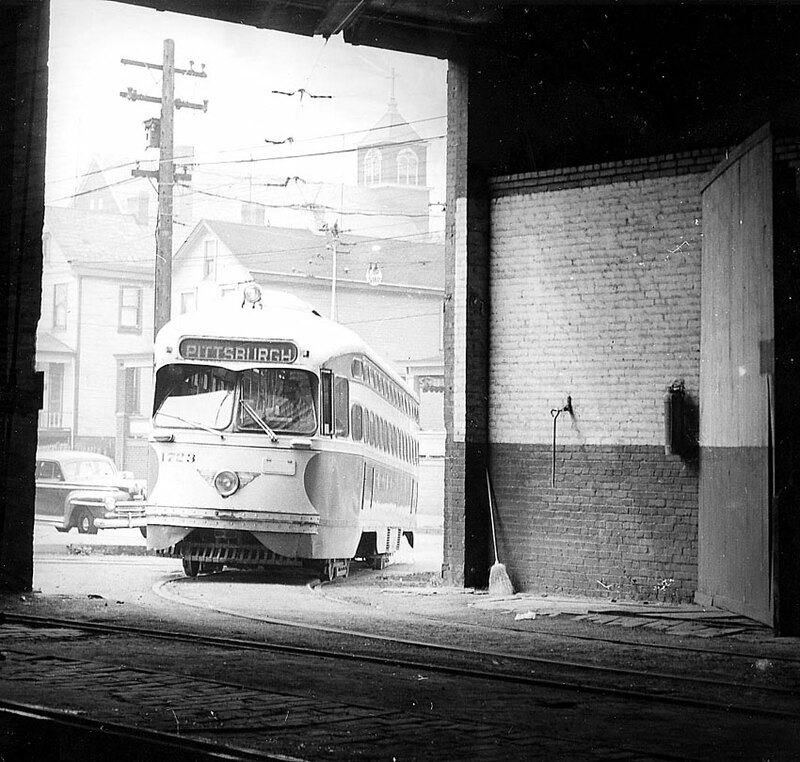 Westside Car House still in use as a transit facility, the Mid-Mon Valley Transit Authority. 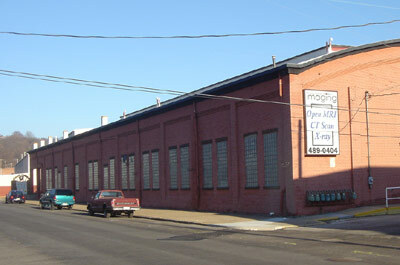 View of former Westside car house from McKean Ave facing North. 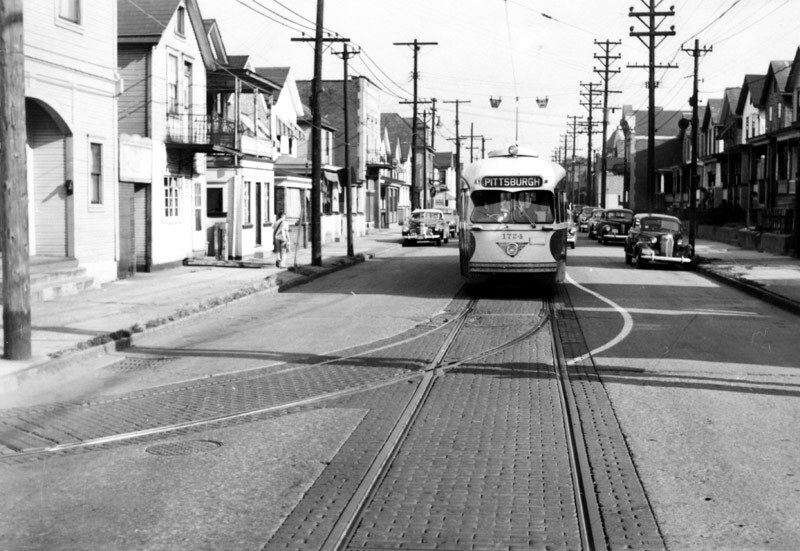 Southbound car on McKean Avenue approaching 12th Street heading into Charleroi. Gene & Boots "Drive In" on the right. 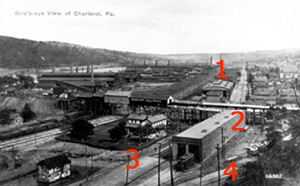 Charleroi car house is to the right off of photo. Northbound car on McKean Avenue approaching south entrance of car house. 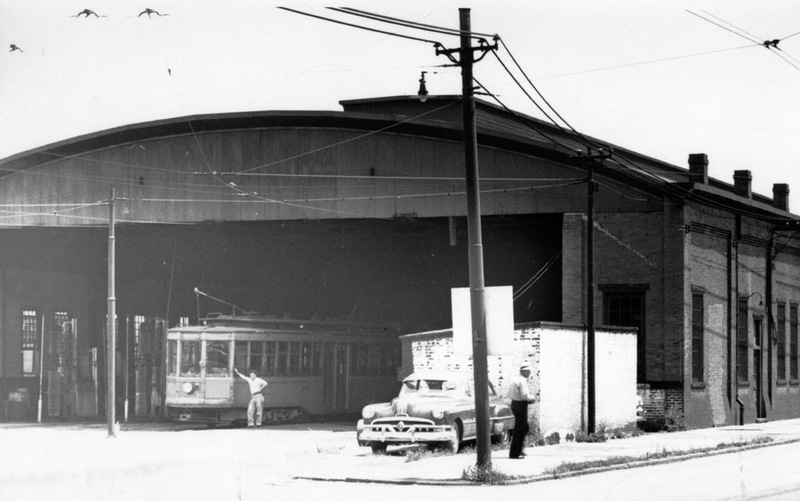 Northbound car entering Charleroi Car Barn. 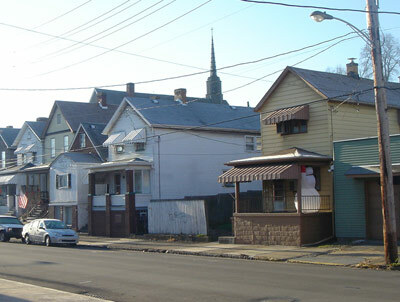 Church steeple in background is the former Catholic Church at 10th Street and Fallowfield Avenues. Photo W. J. B. Gwinn in Miller Library, PA Trolley Museum. July 27, 1952. PRCo 1722 southbound heading towards Roscoe past Charleroi Car House. 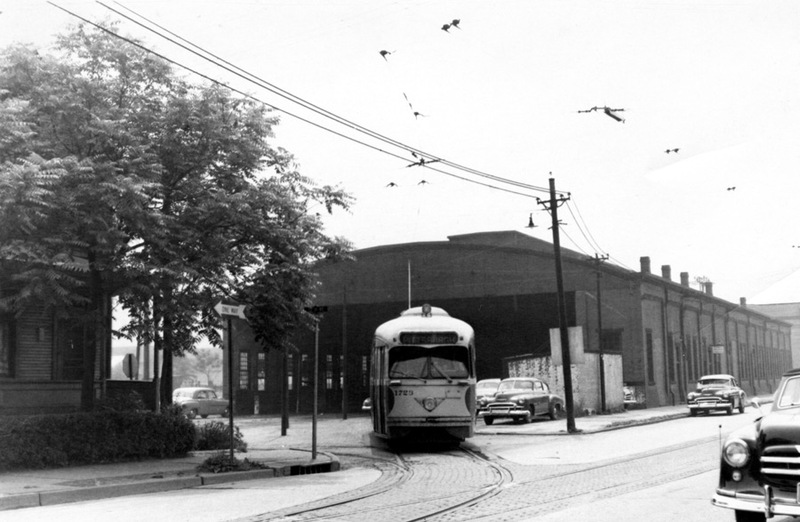 Northbound cars passed through the car house with passengers onboard. Cars passed over an inspection pit in the car house. 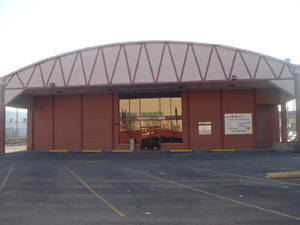 Car house was converted into a Thorofare Supermarket in the 1950's. 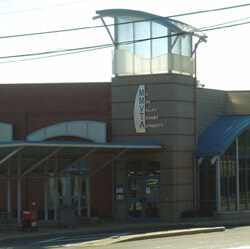 Building is currently Charleroi Medical Center. 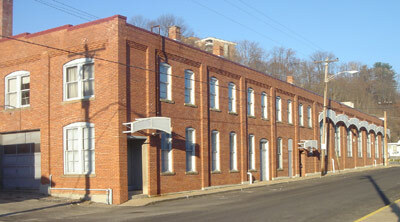 Rear of Charleroi Car House. 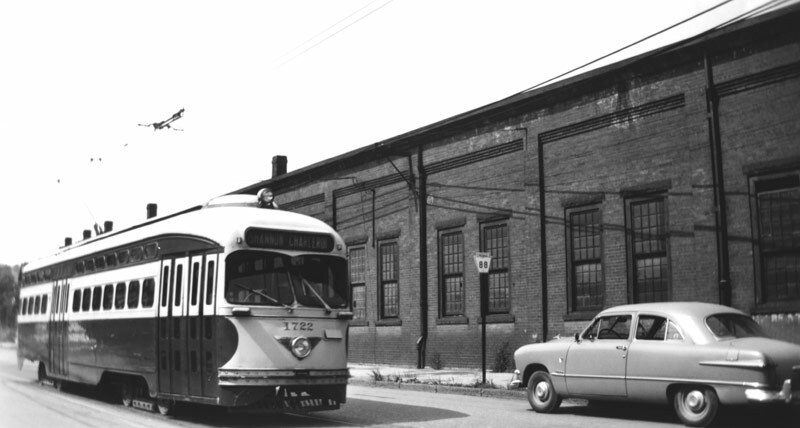 PCC 1723 leaving Charleroi Car House heading north towards Pittsburgh. 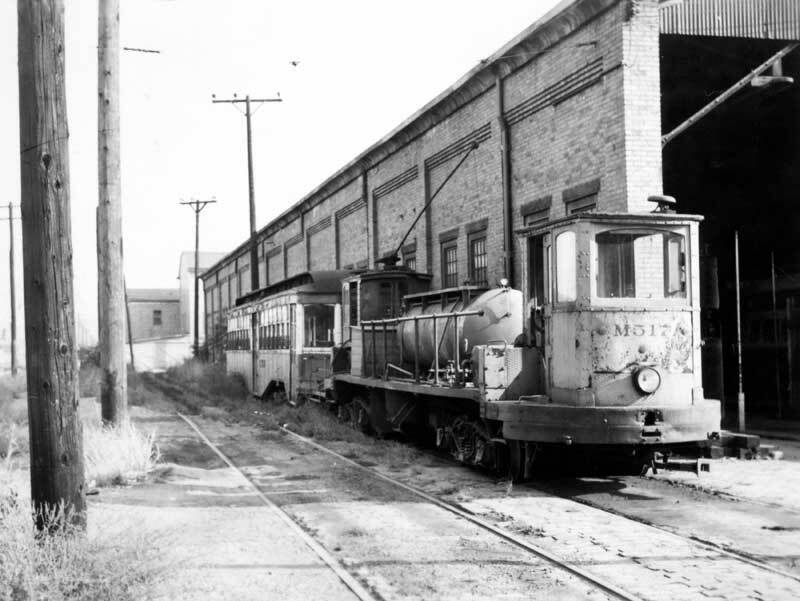 Car 4369 north side of Charleroi Car House in 1941. 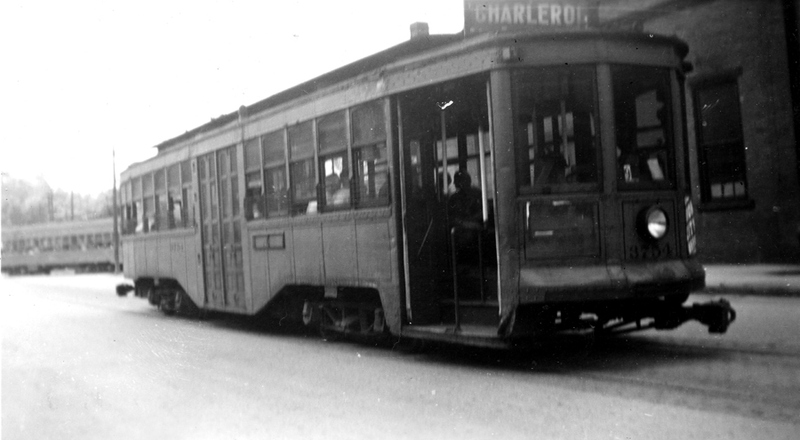 Car 3754 in front of Charleroi Car House. 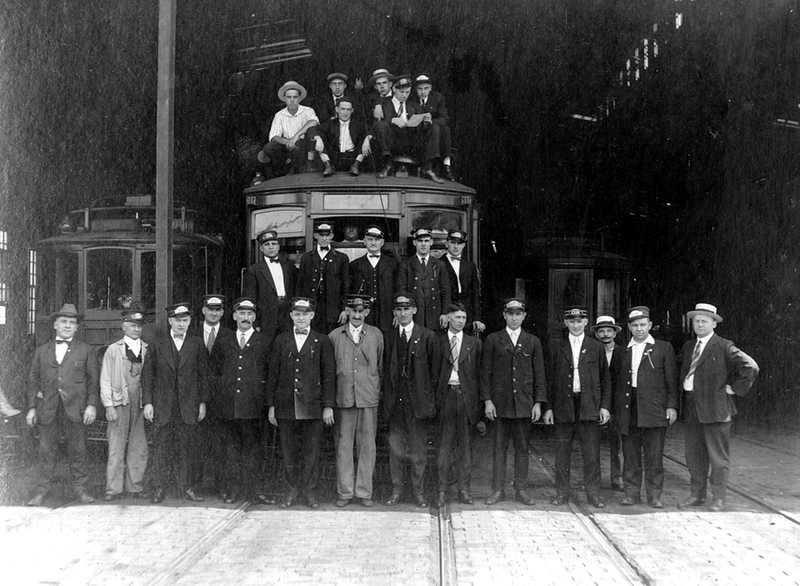 Man in white shirt on top of car is Harry Muckle Jr. Photo was given to Charleroi Area Historical Society by his descendant, Margaret "Peggy" Pernelli. 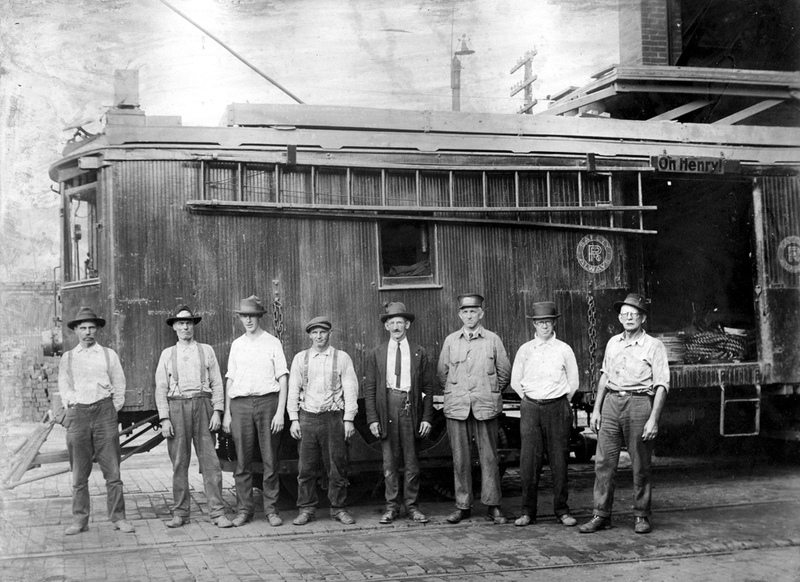 Line Car at Charleroi Car House. Man on far right is Harry "Pop" Muckle. 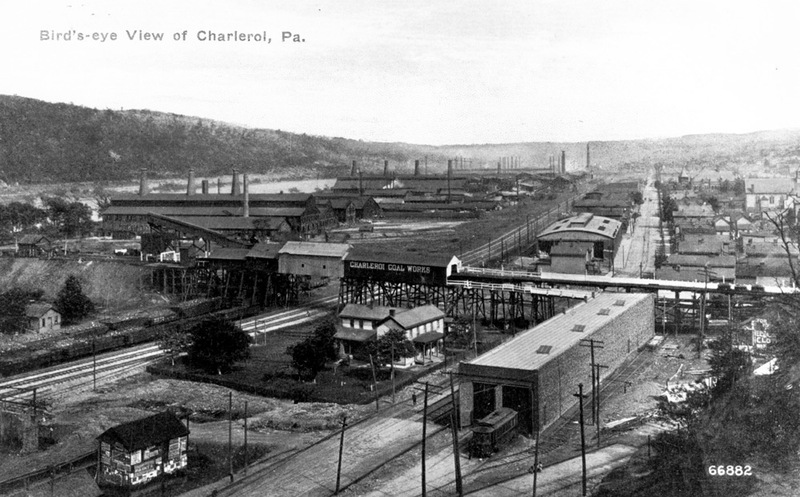 Photo was given to the Charleroi Area Historical Society by his descendant, Margaret "Peggy" Pernelli.